Upgrade choices, resiliency features and even purchase negotiations determine how much buying servers will actually cost. Shopping for an enterprise server is no trivial matter. IT planners face the unenviable task of selecting hardware to meet future computing needs while staying within tight budget constraints. Buying the wrong server has long-lasting and expensive consequences. 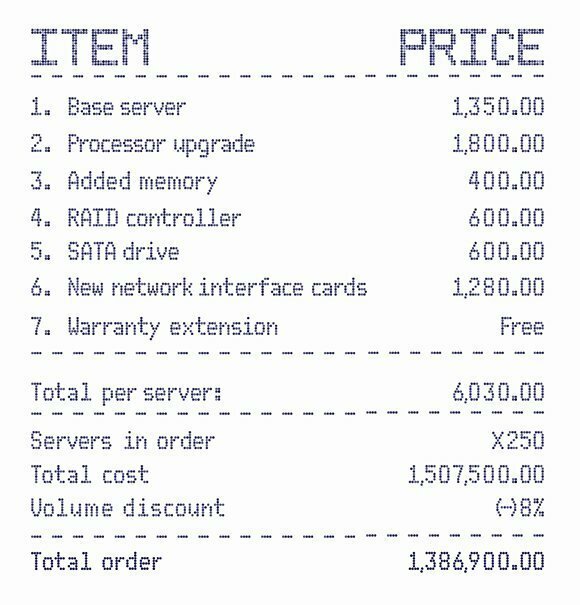 Feature upgrades and add-ons increase the cost of a server but may be worth the money. Another factor in how to buy a server at the best price is volume: Buyers get lower server prices for bigger orders. Rein in server costs by opting for stock (base) configurations, but don't let sticker-shock overwhelm strategic thinking. The cost for powerful processors, additional memory, more storage, faster networking, graphics processors and other upgrades are easily justified when business applications require it, such as for crunching big data or when virtualization allows the business to consolidate onto fewer, heftier servers. Enterprise servers are highly configurable; the challenge is selecting options that best balance future-proofing and cost-effectiveness. Buying servers adds components and features to your compute operations that provide redundant operation and facilitate better failover or recovery performance. Processors with more cores and faster clock speeds quickly drive up the price tag. For example, replacing a 2.5 gigahertz (GHz) six-core processor with a 3.3 GHz eight-core processor easily adds $1,100 to the server's base price; opting for a 2.7 GHz 12-core processor boosts it by almost $1,800. For servers with multiple-processor sockets, multiply the cost increase. Use caution when selecting processors with expanded instruction sets, e.g., SSE4 or Intel-VT, because applications that depend on specialized instructions require extensive testing and tweaking before entering production, delaying development and deployment. Memory also ranks high on the list of server budget-busters. While memory bus speed and performance choices typically add nothing to the server cost, the sheer volume of memory proves expensive. For example, a server with 32 GB of memory costs about $800 more than one with 4 GB, but the move from 1,333 MHz to 1,866 MHz plus support for memory mirroring and advanced error correction code with sparing is free. Storage device and controller options quickly rack up the cost of buying a server. First, moving to larger and faster serial advanced technology attachment (SATA) disks adds modest cost. For example, a 1 TB 7.2 K RPM 3 Gbps SATA drive might add just $200 to a server, but a 1.2 TB 10 K RPM 6 Gbps SATA drive costs over $600 per drive. When a 2U or 4U rack server accommodates multiple drives, even modest disk upgrades are pricey. Costs are even higher for solid-state disk (SSD) units. A 200 GB SAS 6 Gbps SSD costs $1,300 per drive, a 400 GB version hits $2,600 and a 1.6 TB SSD adds almost $5,000 per drive to the total cost of a server. Solid-state accelerator devices, such as Fusion-io I/O accelerators, drive up server prices by over $5,000 for a 350 GB expansion card. Redundant array of independent disks (RAID) is mostly free because the server's motherboard already includes a SATA/SAS controller with RAID support. But IT shops can upgrade mission-critical servers with extensive disk support to a dedicated RAID controller card with onboard nonvolatile cache for better write caching performance. New RAID controllers add $600 or more to the server price. Networking choices arise as unexpected cost factors as well. For example, gigabit Ethernet ports are standard on modern servers, but powerful or highly consolidated servers often require multiple network interface card (NIC) ports or upgrades to 10 or even 40 gigabit Ethernet. Fast, multi-port, optically interconnected PCIe NICs, such as a Mellanox ConnectX-3 dual-port 40 Gbps direct attach/QSFP network adapter, raise a server's price by almost $1,200. If you use an external Fibre Channel SAN, the server will require a Fibre Channel HBA, like an Emulex LPE 16002 dual port 16 Gbps HBA, costing over $2,000. Continued attention to virtual desktop infrastructure endpoint virtualization, big data and scientific workloads has piqued interest in server-side graphics processing. GPU cards are therefore being added to modern servers. But GPUs are expensive, ranging from $1,500 for an AMD FirePro S7000 card, up to $7,400 for a NVIDIA Tesla K40M unit. Don't forget the operating system and management platform when determining how much to budget per server. For example, Microsoft Windows Server 2012 Datacenter Edition for a two-socket server with unlimited virtual machines (VMs) runs more than $4,600 per server. A management platform like Dell's iDRAC7 Enterprise adds $300 or more to each PowerEdge server. Adding a management tool, like a three-year subscription for VMware vCenter Standard, can pile on another $7,000 to a server that starts at a little over $4,000 (PowerEdge R720). Virtualization allows for workload consolidation -- potentially slashing the total number of servers in the data center. Although fewer and more powerful servers reduce the total capital expenditure on server hardware, each system is responsible for more workloads. Thus, the workloads are more vulnerable to hardware faults and recovery/restoration delays. Buying servers on an faster refresh cycle adds components and features to your compute operations that provide redundant operation and facilitate better failover or recovery performance. Servers support memory redundancy including hot-pluggable modules, advanced error correction code, sparing and mirroring at no added cost. The cost of deploying these capabilities is in the additional memory modules. For example, memory sparing provides auxiliary memory modules, which are kept on standby. If one module fails or reports an error, a spare module is activated and rebuilt with the original module's data.  Memory mirroring duplicates the contents of one memory module within another. In both cases, you pay for additional memory, but it's not provisioned to specific workloads. The exact cost depends on the amount of memory you install. A single network port is a single point of failure, or at least a bottleneck for network-intensive VMs. Adding a $280 multi-port NIC, such as a Broadcom 5719 quad port gigabit Ethernet card, brings four additional NIC ports to the server. These ports are teamed to aggregate bandwidth and provide failover if one port should fail or interconnect a server to a redundant cluster. You can provision individual ports to specific workloads to prevent network bottlenecks as well. A single server power supply is also a potential single point of failure, and servers routinely use redundant power supplies for failover without disruption. Unfortunately, redundant power supplies are "always on" devices and require a second power supply to run and use energy, lowering the system's energy efficiency. This is especially true for large-capacity power supplies, like 750 watt or 1,000 watt units. By the time a second power supply takes over, it has already accumulated significant runtime, so its reliability is questionable. Some organizations opt for a single power supply on noncritical servers to keep costs and energy use low, but spend the additional $350 for a second power supply on mission-critical systems. Factor in the cost of software for resilience, such as clustering software, workload balancing tools like VMware DRS or VM duplication software like EverRUN Enterprise from Stratus Technologies (Stratus acquired Marathon's products in 2012). The licensing and deployment costs of these tools -- and each tool's capabilities -- vary, so verify that the one you choose best fits your organization's resiliency requirements. The additional purchase can be mitigated through fewer licenses because these tools only need to protect mission-critical servers. Larger expenditures typically give you more leverage over the vendor. It's far easier to extract concessions when you buy server fleets, rather than only one or 10. This is part of the reason for technology refresh cycles that replace hundreds or thousands of servers at once; in spite of the huge capital expense, it's usually more cost-effective than making smaller incremental purchases. You must understand the original per-unit cost before volume discounts are applied -- it is the only means of gauging the value of one deal or comparing it with competing vendors' offers. If possible, deal directly with the system manufacturer because value added resellers add a margin to hardware sales. Use your volume purchasing clout to extend software licensing, service or maintenance agreements as well. Extending a service agreement from one to three years or from three years to five saves the business a tremendous amount and it costs the seller relatively little. Remember, this is a negotiation, and almost anything is on the table. When the seller charges for installation support or old system removal, it's possible to negotiate either (or both) as part of the server purchase. Free installation with configuration and provisioning will save time, and time is money. Server vendors typically sell your used boxes on the secondary and/or scrap markets, so negotiate free removal into your buy. Always firm up any negotiations in the final written purchase order or contract because that document represents the complete and binding agreement between the buyer and seller. Off-handed negotiations by phone or even email won't hold up if those points are not delineated in the final purchase and sale agreement. Have the legal team sign off on the contract. When purchasing an enterprise server, also consider often-overlooked factors, like application interoperability and management platform support, which become problematic when changing vendors or server models. Existing systems management platforms might not work with the new servers, taking away management insight, disrupting automation and causing unforeseen application performance problems. Proof-of-concept testing is an important part of any technology refresh cycle, with aggressive stress testing to verify the behavior of critical applications before a purchase. One of the problems is with a mix of servers in the data center. If expanded instruction set servers are in a cluster with non, the VMs moving around in that cluster have to work to the lowest common denominator of hardware, otherwise they could crash after changing from one server to another. Can you please advise best configuration for desktop to turn it into virtual lab. I do not want to go for server for home use but want to practice VM lab at home on powerful desktop.